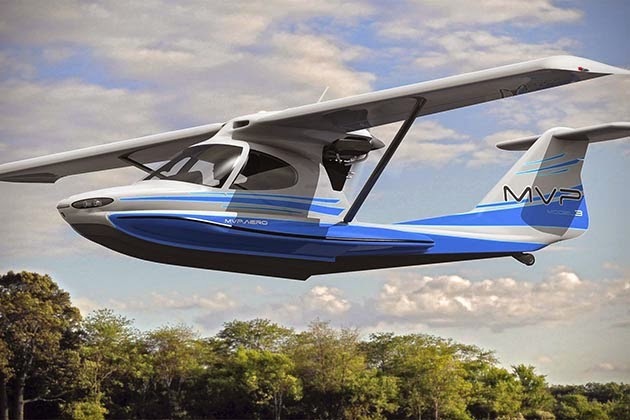 The MVP Aero Model 3 could redefine what it means to go your own way, as this “most versatile plane” is meant to take you anywhere you want with supremely futuristic panache. 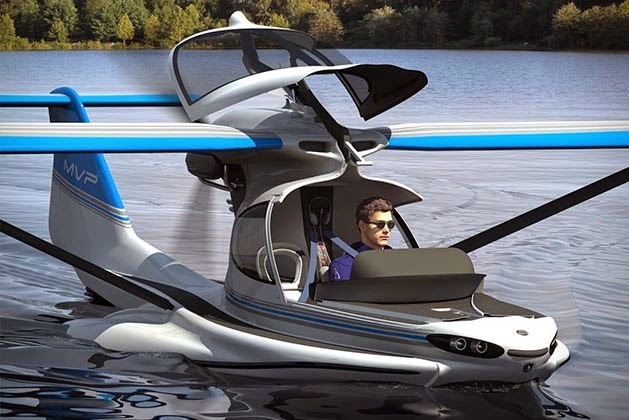 It can touch down on land or water, and once it’s down you’ll hardly want to leave it. 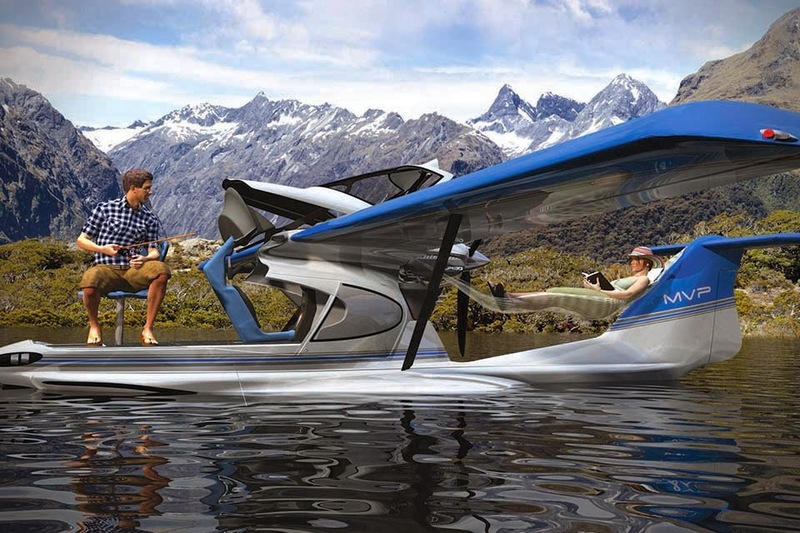 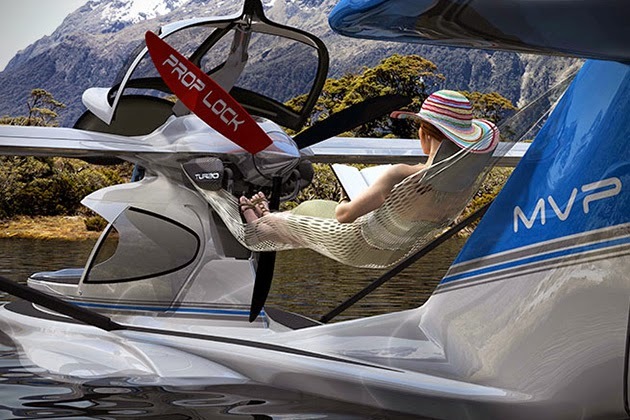 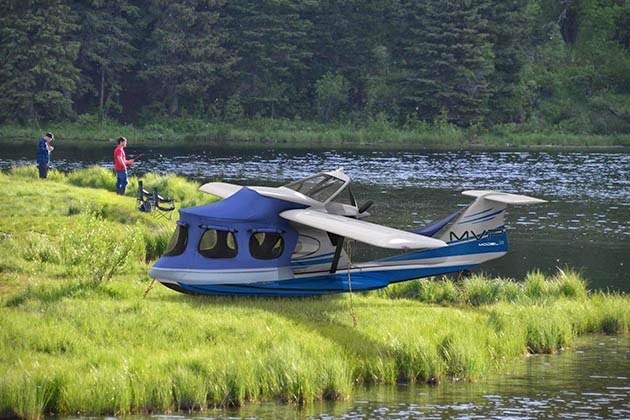 The canopy moves upwards and back on a 4-bar link to sit atop the engine pylon, thus freeing up the nose of the plane to resemble the front of a classic bass-type fishing boat.